We have a special price of $5,500 includes full wedding day coverage and video team. McKim photography is fully insured and uses all the best professional camera gear! 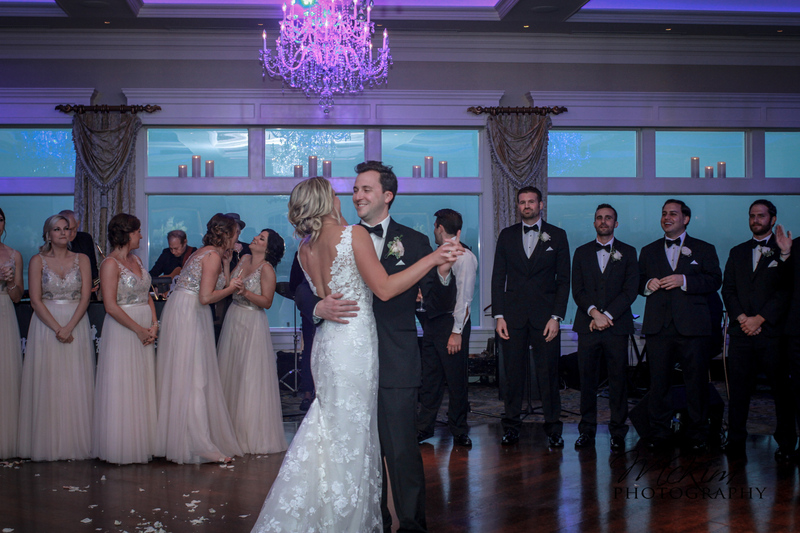 to save over $1,000 on your photography and video package from Mckim photography for your wedding day at Clark’s Landing in Point Pleasant NJ. Clark’s landing yacht club wedding photography bridesmaids brides love this place! We’re back with another beautiful wedding!! 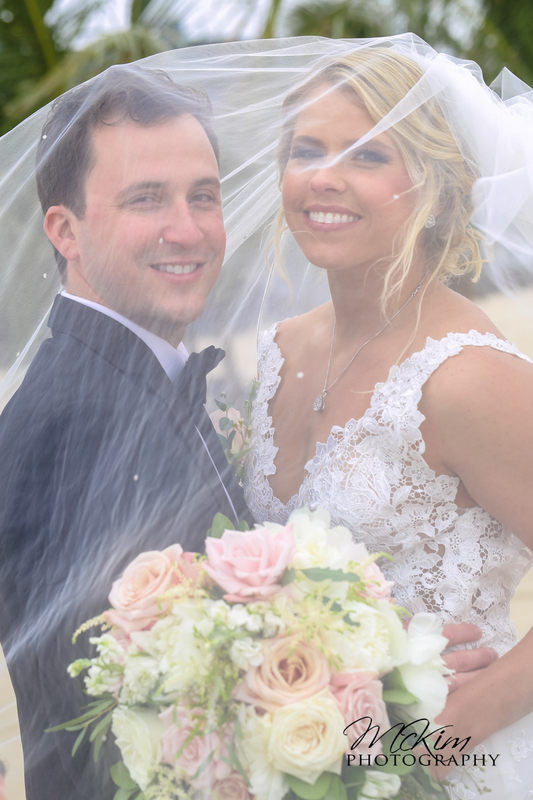 Today we’re excited to share Jessica & Andrews Wedding photos and video which took place at Clark’s Landing Yacht Club in Point Pleasant, NJ!! 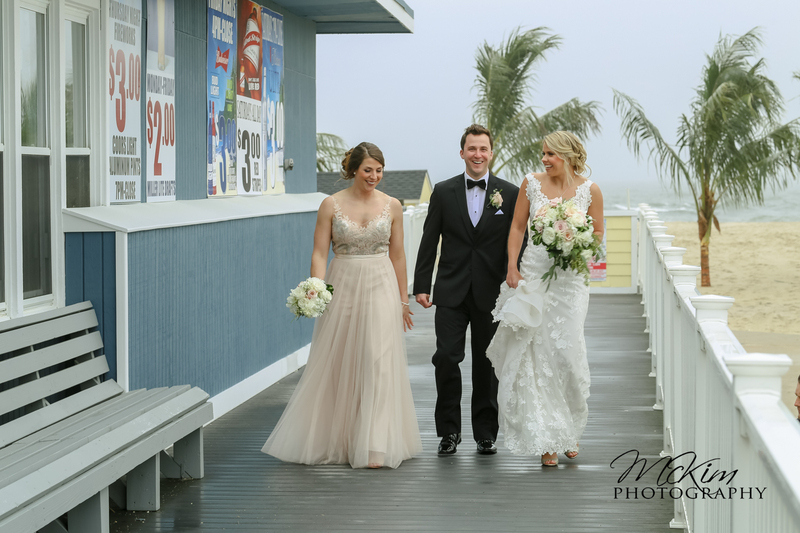 We started preparations back at their beautiful homes , Roman Catholic church wedding in Point Pleasant followed by photos beach near Jenkinson’s Boardwalk. 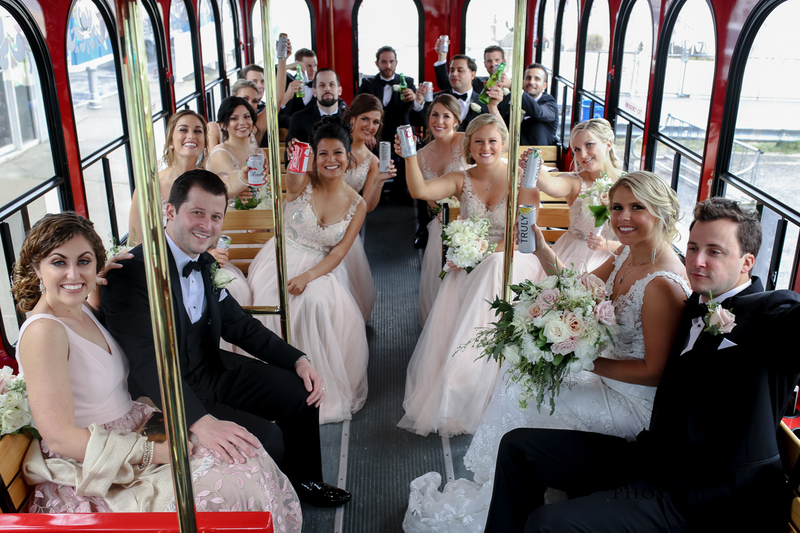 Having their bridal party join us was so much fun and added so many emotions to the moment when Jessica and Andrew got on the trolley as a married couple first time that day. 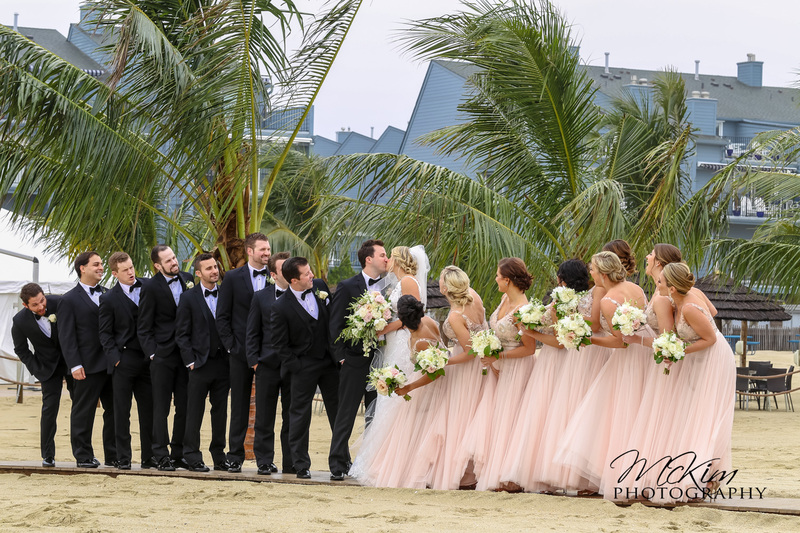 After the first look and some beach portraits, we all headed to Clark’s Landing for their lovely afternoon sunset ceremony before heading into the reception. This venue is beautiful and their staff is such a pleasure to work with!! When we arrived, the Band, from NYC were ready to kick off the party!! Music was amazing and the party was rocking!!! This was such a beautiful wedding and even more a beautiful family to work with!